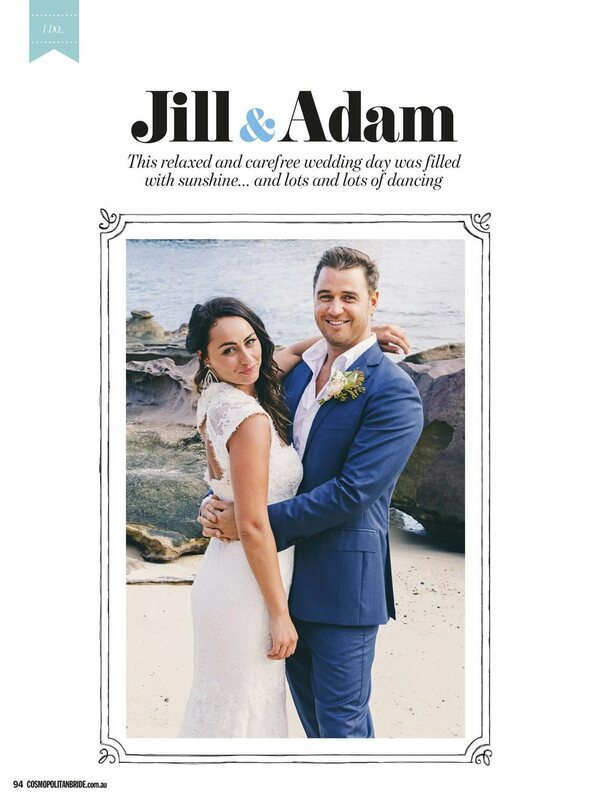 We are delighted to announce that Jill & Adams wedding got featured in the latest Cosmopolitan Bride Magazine. 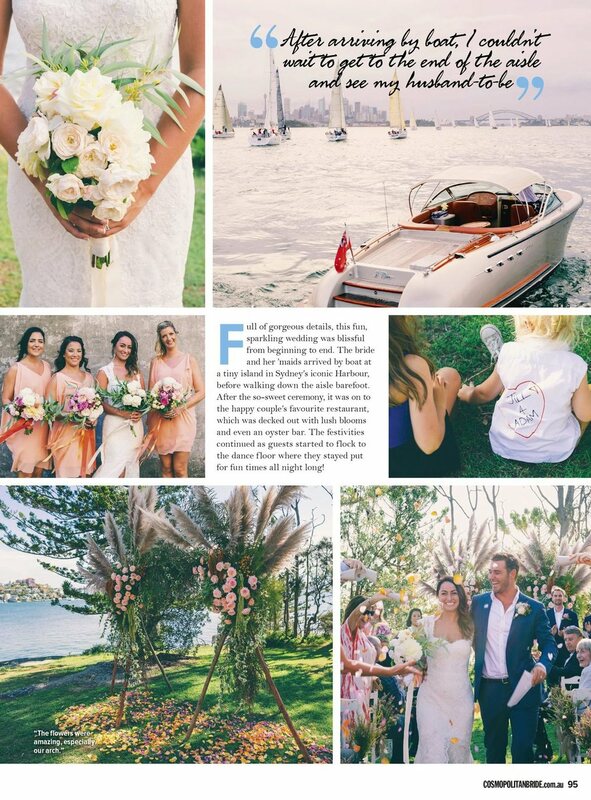 The couple had a magic ceremony at Shark Island followed by a extraordinary reception at Catalina, Rose Bay. Jill was wearing a Monique Lhullier dress and the Bridesmaids dressed in Willow. Jane Allen showed her talent shooting the most gorgeous wedding photos. Congratulations to Jill and Adam! It was a busy day for the Eternal 2 Elegance team. Four magic weddings from Newport to the Rocks, Malabar and the Central Cost. Here a few images behind the scenes at Pier One. Congratulations to our gorgeous bride Sarah Lovell. Have a magic day! What a gorgeous, sunny day for a wedding! Congratulations to our lovely bride Natalie. Her flowers have been arranged by Engadine Florist "The Sisters". 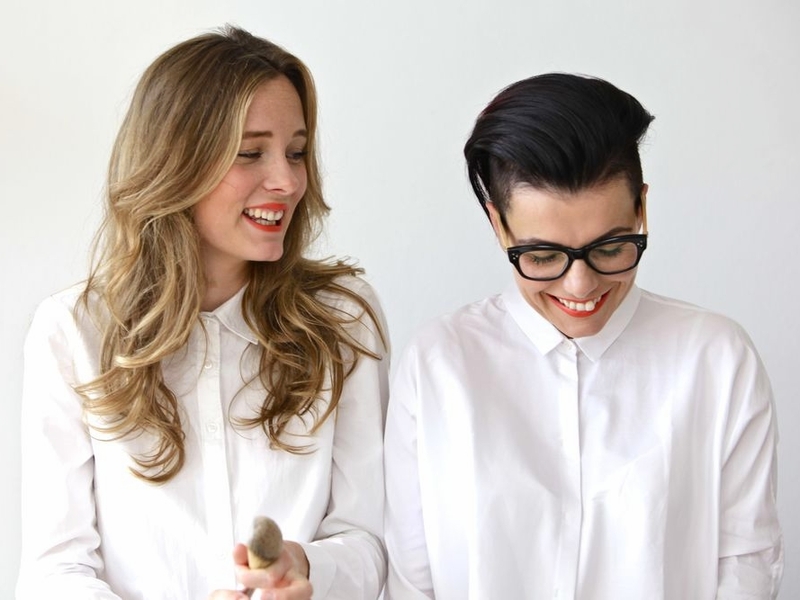 Naomi and Ester, the floral designers and "the sisters" behind Engadine Florist, are both of European descent and constantly come up with new designs from around the globe, keeping up with what's in vogue. They bring you creation and not just an ordinary bunch of flowers. Yesterday we have been invited to the Sydney Opera House to work with amazing women from around the world. They told their extraordinary stories and debated the important ideas of women, personal and global. We had the pleasure to meet Lucy Siegle, Jennifer Senior, Ilwald Elman, Mona Eltahawy, Alison Bechdel and Tara Moss. Hair and make-up for Tara Moss using Giorgio Armani, Nars, YSL, and MAC. 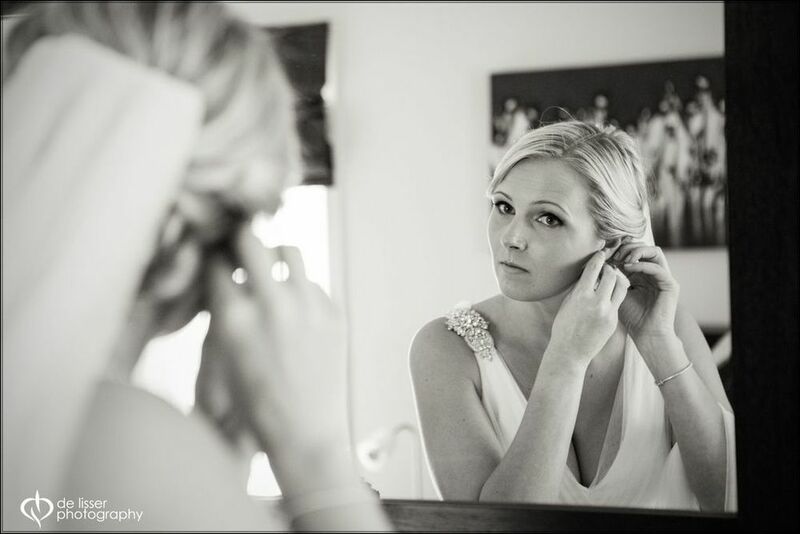 Today we received some wonderful photos from our lovely bride Liz. The Eternal 2 Elegance team was delighted to spend the morning of Liz wedding with her and her lovely bridesmaids. We wish her all the best for the future! A sneak pic of today's wedding. Our gorgeous bride Kylie will celebrate her wedding at Cottage Point. What a great way to start the day...."High tea" for the bride! We can't wait to show pictures of the ceremony. Products used: Bioderma, SK II face mask, Giorgio Armani Foundation, MAC shadows, Laura Mercier cream illuminator, etc. Have a wonderful day Kylie! We had the pleasure to be part of two wonderful weddings yesterday. The Eternal Elegance team was up at 4am and we finished at 5pm. We love our job and it's never too early for us. Congratulations to our two brides Beth and Jessica! We wish you all the best for the future! July was the least popular month for marriages with only 5,582 (4.5%) marriages taking place then.